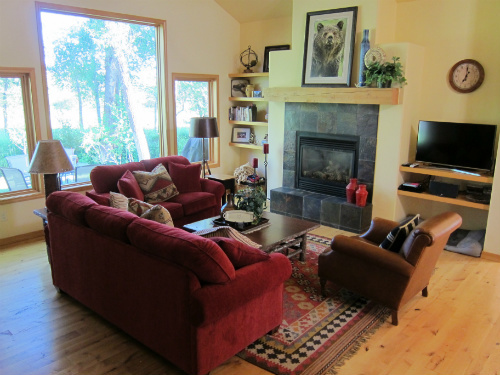 1380 sq ft house on seasonal stream at Teton Creek Townhomes, only 9 miles from Grand Targhee! 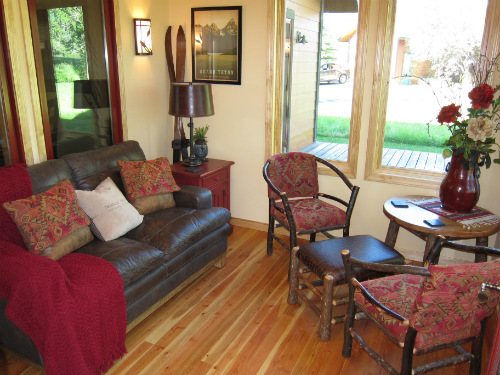 2 bedrooms, with deck and covered screened porch, sleeps 6. 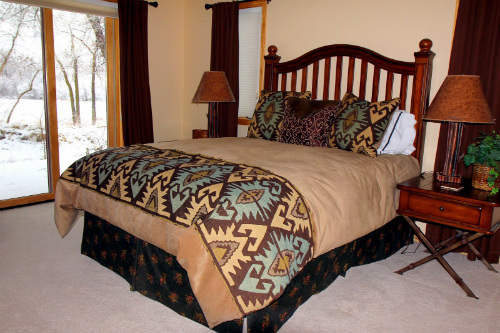 Each bedroom suite has a private bathroom, and a queen bed. There is also a queen sleeper sofa in living room. 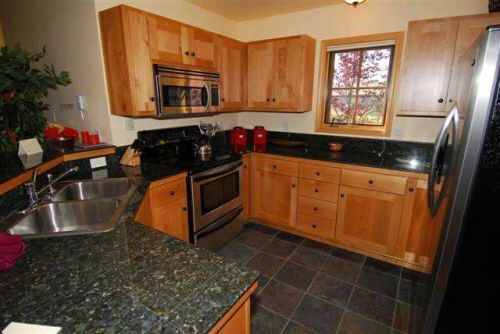 Beautiful fully equipped kitchen with stainless steel appliances including microwave and dishwasher, toaster, coffee pot, and toaster oven. 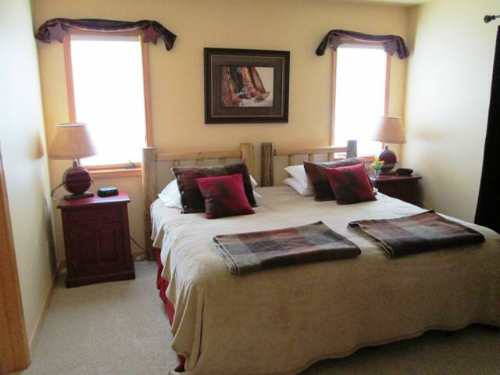 Comfortably furnished living room with slate tile propane fireplace and large picture windows facing stream. For your in home entertainment there is wireless internet access, Dish Network satellite TV and DVD/VCR. Covered front deck with stunning views of the Grand Teton and surrounding foothills of the Western slopes of the Teton Mountain Range. 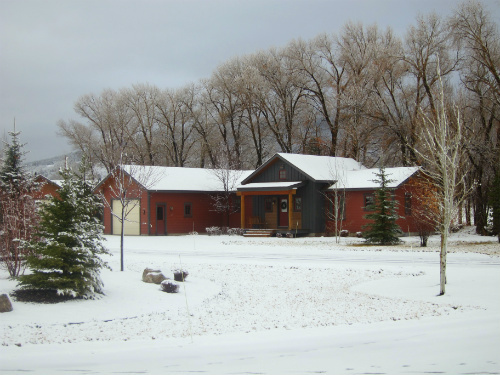 Neighborhood walking path follows seasonal stream to enjoy an evening stroll and includes views of Fred's Mountain (Grand Targhee Ski Resort) and the Teton Range. This home also has a 3 season porch leading to a nice deck near the intermittent stream with propane BBQ, w/d and a 1 car garage for your use.